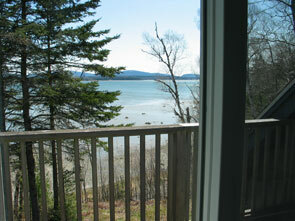 Breathtaking views from this oceanfront cottage across the bay from Acadia National Park. 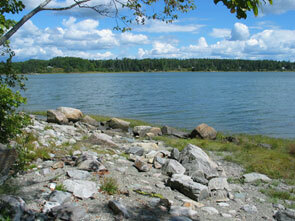 Just over 2 miles to Mount Desert Island and the one of the country’s most beautiful national parks. 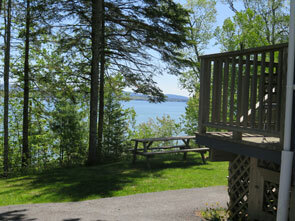 The cottage rests 20 feet above the shore, overlooking the bay, with views of Cadillac and Sargeant Mountains, and the open ocean. 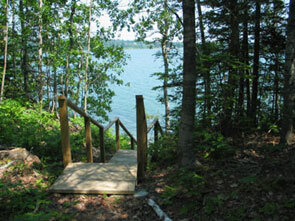 Stairs take you down to 250' of shoreline where the tide offers many sites to see. 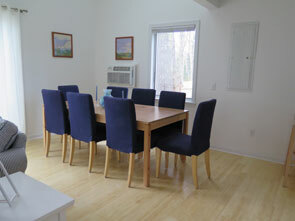 Nestled in wooded property (there are some beautiful 100 foot trees), the cottage is surrounded by wildlife, including deer, fox, and bald eagles! 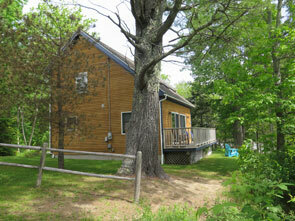 Facing south, the cottage and property enjoy the brightest exposures each day. Daybreaks are indescribable! 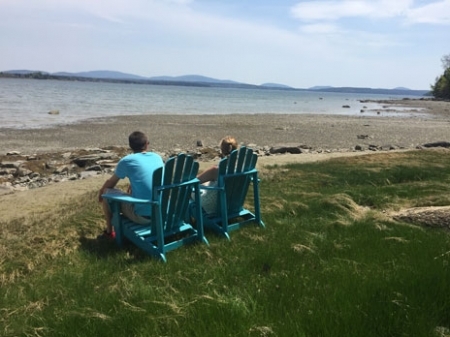 Seabank is just a 17-20-minute drive to the center of Bar Harbor—where you’ll find great seafood, restaurants, movie theatre and shopping—and a 14-minute drive to the entrance to Acadia National Park (although just a few minutes to the Information Center for Acadia). 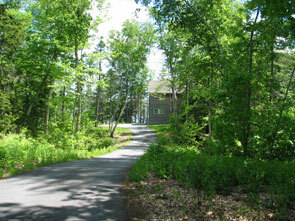 The park features mountain hiking, bicycling, beaching, and some of the most beautiful sites of nature in the world! 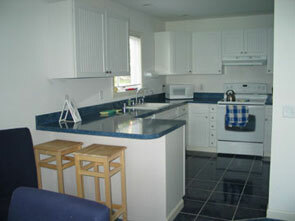 The cottage has 3 bedrooms (sleeps 6), living room and full kitchen, 2 bathrooms. The bedrooms have 1 king bed, 1 queen, 2 twins. The king and queen bedrooms both have decks that overlook the ocean. 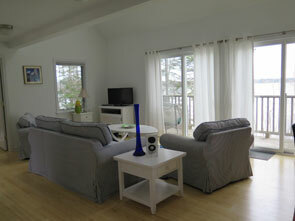 This two-story cottage features many windows for many spectacular views of the ocean and Acadia mountains! 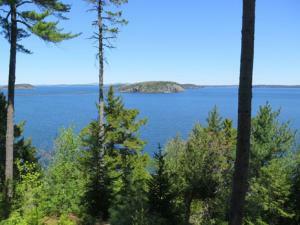 Along with Acadia National Park, the Bar Harbor area offers: hiking, biking, boating, whale watching, canoeing (kayak and canoe tours), lake swimming, carriage road walks, horse back riding, wonderful dining, shopping, deep sea fishing! Visit the oceanarium, take a Jackson Lab visitors tour, golf at a PGA top-rated course, play tennis. Kids activities include: water park, petting zoo, miniature golf, beaches, and lots of ice cream/diary bars!